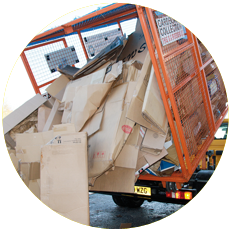 The traditional way to transport waste cardboard is with large, heavy skips on the back of large wagons with a total road weight of 21 tonne. The BAKKIE system can be driven on an ordinary licence, needs no tacho and has a road weight of only 3.5 tonne saving you fuel and collection costs. Greatly reduced emissions on the BAKKIE vehicle with far less fuel consumption and road wear. 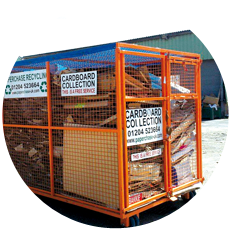 Energy savings with no compactor or baler to run. 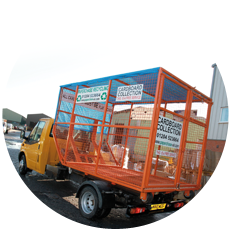 We are able to adapt the cages to suit other applications such as tansportable portacabins, porta-loos and flatbed traliers.